"The workshop is dynamic, interactive, and loaded with energy and enrichment"
The strongest aspect of the workshop? "The actual presentations of hypnosis and seeing someone else in the class do the same." See more comments from professional workshop participants! Available to the public and licensed professionals (LPC, LMFT, Social Workers can receive 50 CEUs). The course will meet Saturdays and Sundays from 9:00 to 2:00, tentatively scheduled to begin January 18, 2020. Tuition is $2,277. An early registration discount of $200 is avaliable through December 31, 2019. A payment plan at no interest is available. Space is limited. Location: Watermark Counseling, 1705 Richland Street, Columbia, SC 29201. Live outside the Columbia, SC metro area? Consider taking the course by webcam. You can also contact us directly to register or to make other financial arrangements. The focus of the course is on developing the skills of a professional hypnotist. While a substantial amount of information is presented, this skill development, both in inducing hypnosis and in managing suggestions, is emphasized. The course also addresses emotional communication, empathy and persuasive skills. Many self-help processes use hypnotic principles. You will understand and learn to use relaxation techniques, therapeutic guided imagery and much more. 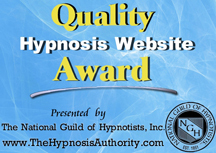 Graduates of the course are Certified Consulting Hypnotists. The course is available for everyone. Licensed Professional Counselors (LPCs), Licensed Marriage and Family Therapists (LMFTs), School Counselors, and Social Workers who complete the course are eligible for up to 40 hours of Continuing Education Units (CEUs). Students and interns are welcome! Feedback from mental health professionals who have taken this course has been excellent! One LPC who completed the course recently wrote, "I feel confident in my abilities because of the thoroughness of this course. I would definitely recommend this course to other professional mental health workers." Guided imagery and functional relaxation techniques are standard Cognitive Behavioral Therapy techniques, and have substantial scientific support in peer reviewed studies. Ericksonian Hypnosis has contributed significantly to a number of counseling approaches including de Shazer and Berg's Solution-Focused Brief Therapy, Satir's family therapy approach, Bateson's Mental Research Institute (MRI) family therapy model, Haley's Strategic Family Therapy, Miller's Motivational Interviewing, and Narrative Therapy. Dr. Fredric Mau, LPCS, BC-NCC, BC-TMH, BC-H, is an international speaker on counseling and hypnosis topics. He was awarded the 2016 Hypnosis Research Award and the Order of Braid by the National Guild of Hypnotists, and the 2013 HypnoScience award by the international Hypnosekongress in Zürich, Switzerland. He is the creator of the Relaxation-Based Pain Relief (RBPR) certification for medical and mental health professionals. Dr. Mau has been the featured, plenary, or keynote speaker for both of South Carolina's professional counseling organizations, the SCCA and SCALPC, as well as counseling organizations in Tennessee and North Carolina. As a board-certified counselor, board-certified hypnotherapist, board-certified TeleMental Health professional, and certified instructor of hypnosis he brings a wealth of experience to this course. Dr. Mau is the author of three books:A Different Reality: adventures in narrative therapy & a protocol to address anxiety disorders and insomnia, Emotion - the Power of Change: A Science-Based Approach to Ericksonian Hypnosis , and The Relaxation-Based Pain Relief Certification Manual. A free consultation is available for all our services. If you would like to find out more about the Professional Hypnosis Certification Course, contact us to schedule an appointment to come by and have your questions answered. Tuition is $2,277. An early registration discount of $200 is avaliable through December 31, 2019. Payment can be made by cash, check or credit card. An extended payment plan at no interest is also available (this lets you set your down payment and monthly payment). We will need a minimum of five participants to provide the course. To register for the course and arrange for payment, please contact us. To register and reserve your place, you can make a $300 payment using this link. This will be applied to your tuition. We will contact you to make arrangements for the remainder of the tuition. Space is limited. Contact Watermark for more information.